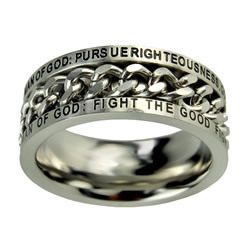 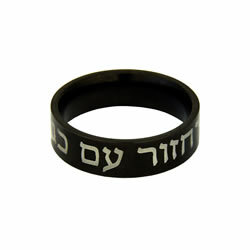 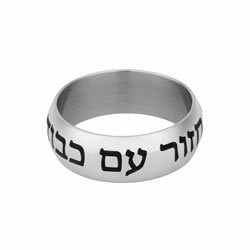 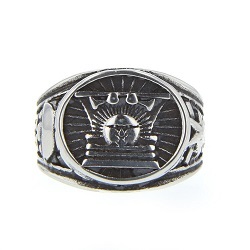 This unique stainless steel ring has the phrase "Return with Honor" in the Hebrew language on the outside of the ring. 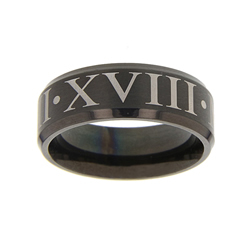 This stainless steel Roman Numerals Date Ring is a perfect gift for anniversaries, weddings and more. 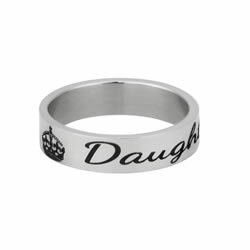 Enter a date of your choice and we will engrave it on the ring in Roman numerals.Add an inside engraving for $9.99 by using the text box above.Note: Engraved rings cannot be exchanged or returned and may delay delivery. 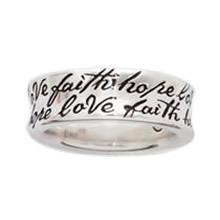 With gently sloped sides and hand carved script, our sterling silver Faith, Hope, Love ring is an elegant reminder of an enduring message. 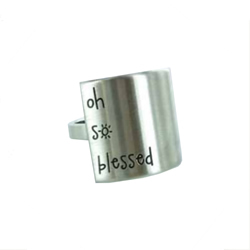 An item from the new Al Fox Carraway "Oh So Blessed" line of jewelry, this engraved metal ring features a square design with the words "Oh So Blessed." 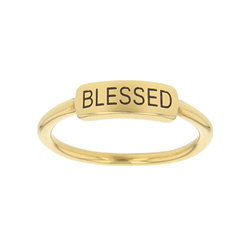 With an eye-catching square design, this ring is sure to inspire discussion of its wearer's gratitude for the blessings in her life. 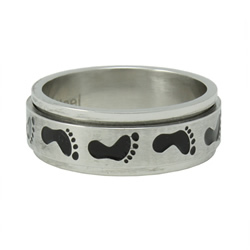 Comes in sizes 5-9. 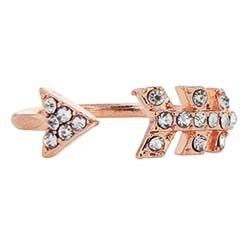 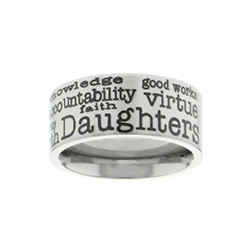 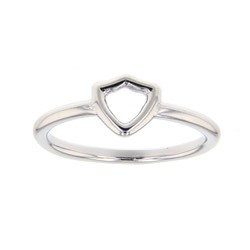 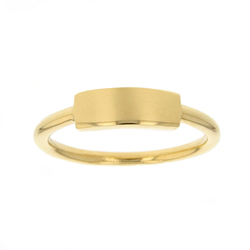 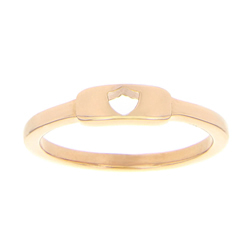 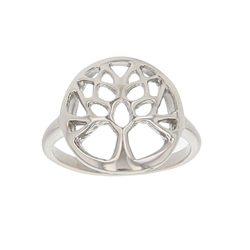 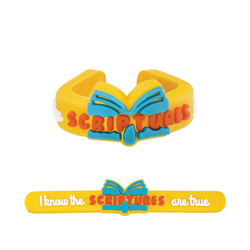 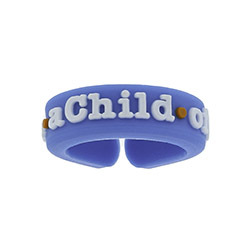 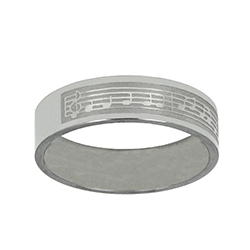 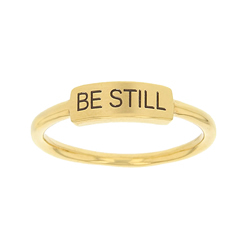 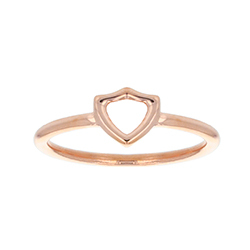 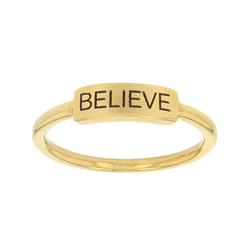 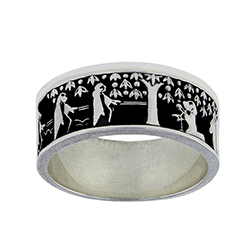 This cute and trendy bar ring is perfect for women of all ages. 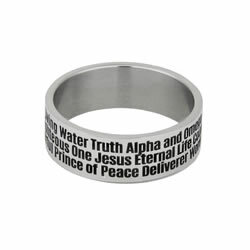 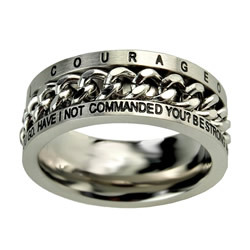 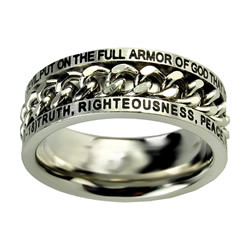 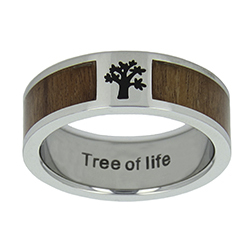 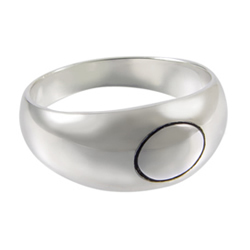 The ring is made of durable stainless steel and has a beautiful gold finish. 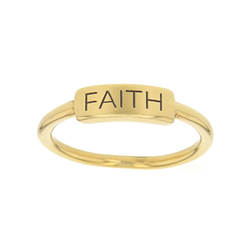 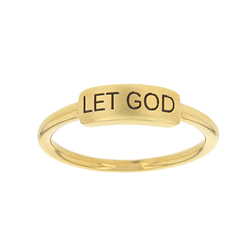 The design features the text, "Faith" on a gold bar.From young women to sister missionaries to your leaders at Church, this ring makes a perfect gift for others and for yourself.A blank gold bar ring is also available here, which the option to engrave your own text.